What Type of Care Does a Cardiac Nurse Deliver? A cardiac nurse, more commonly referred to as a cardiac care nurse, is a professional who cares specifically for patients who heart problems. While the duties and responsibilities of a nurse with this title may very from setting to setting, CCN’s will help to treat patients who have suffered or suffer from congestive heart failure, cardiac dysrhythmia, mardiomyopathy or angina problems. The nurse may perform stress tests, complete health assessments, care for a patient after an operation, or closely monitor the patient’s heart rate. You will need special skills to work with cardiac patients with a cardiologist. Nurses in this field must have a working knowledge of heart problems and treatment methods. They must also know how to use special medical equipment for monitoring and treatment of heart ailments. Some of the equipment that you must know how to use include: electrocardiograms, IV drips, and defibrillation machines. You will also need to be certified in Basic Life Support and Advanced Cardiac Life Support to work in the field and support physicians during medical emergencies which are more common in a cardiac care unit. What Setting Do Cardiac Nursing Professionals Work in? If you work as a CCN, you can work in a variety of settings. It is most common for cardiac nurses to work in Intensive Care Units that are located inside of hospitals, but you could also be hired to work in a cardiac rehabilitation unit or a coronary care unit. Some CCN’s will work in an academic setting where they play a role in conducting medical research or teaching students. The role that you take on depends on what your strengths and your preferences are. You will need to start by earning your nursing degree and passing your exam to become an RN if you want to pursue a career in cardiac nursing. Once you do this, you can earn your Basic and Cardiac Life Support certification and then study to earn a Cardiac-Vascular Nurse Certification through the American Nurses Credentialing Center by taking the appropriate exam. Having a Master of Science in Nursing can also give you leverage in this highly competitive field. but it is not a requirement. 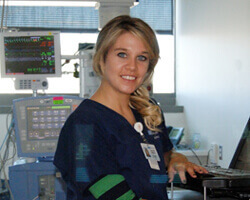 Cardiac nursing professionals play an important role in the healthcare industry. If this is a field that interests you and you want to pursue a specialty, the first step is to earn your certifications. Once you have these certifications, be sure to gain experience in settings where there is a high level of pressure and you need to make important health treatment decisions so that you can show that you can do what a cardiac nurse does.